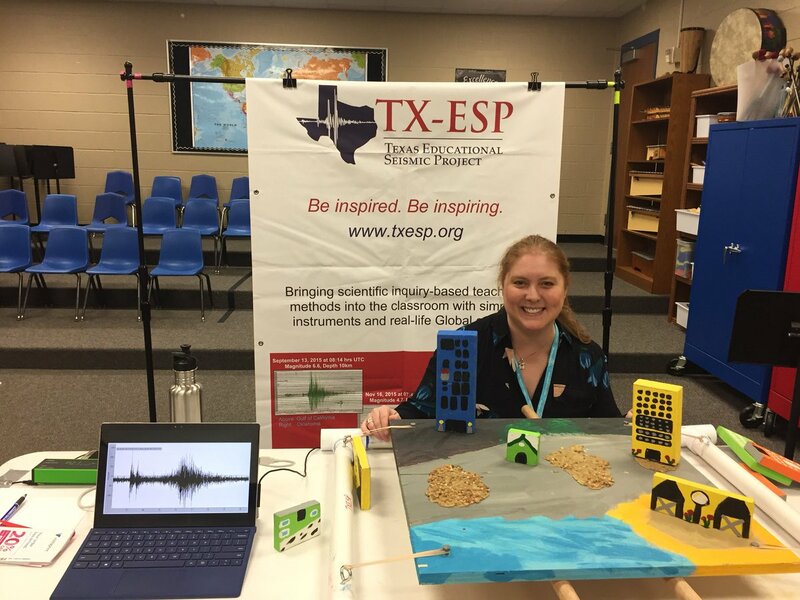 Today, an unbelievably powerful earthquake shook Fiji and the whole Earth….TXESP and Boston College watched LIVE as the teleseismic waves propagated across TX, VA and MA. The M8.2 earthquake epicenter is near Ndoi Island, Fiji; the event began at 00:19hrs UTC with an extreme depth of ~563.4kms. At this time, no tsunami alert has been issued, although small tsunami waves were reported in local news media. It’s not likely, thank goodness, that severe damage and injuries will be incurred due to the great depth of the focal point. TXESP and Boston College, along with other academic colleagues, are learning from these recent large earthquake to further research efforts to understand the heterogeneity in the Earth. We compare Raspberry Shake seismograms of teleseismic events and make observations about the similarities or discrepancies in the detection of multiple wave phases, their arrival times, and other details. Comparison of the magnitude 8.2 Fiji earthquake recorded on an EQ1 seismograph (top) and a Raspberry Shake seismometer (bottom). Extracted seismogram of the magnitude 8.2 Fiji earthquake recorded on an EQ1 seismograph. Epicenter of the magnitude 8.2 Fiji earthquake. Focal depth was >550kms.